Chicken Wings are a favorite dinner of the men folk in our family, and Sriracha sauce added some lovely spice to a straightforward, effortless family dinner. 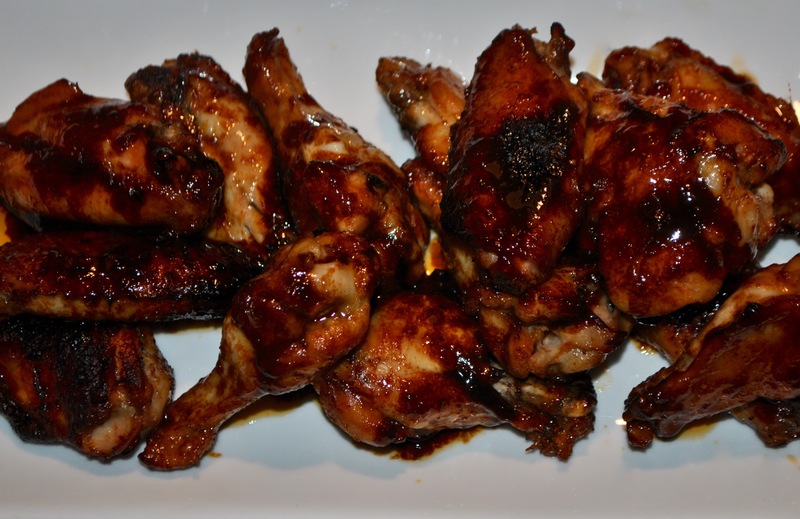 I sprinkled some of the wings with salt and pepper, and gave the simply seasoned meat to my husband, who grilled them, giving us a choice of spicy or plain wings. In a glass baking dish, whisk together 1/4 cup soy sauce, 2 tablespoons plus 1 teaspoon rice vinegar, 1 tablespoon Sriracha sauce, 1 tablespoon sugar, 1 1/2 teaspoons grated peeled fresh ginger, and 2 teaspoons toasted sesame oil. Add 1 1/2 pounds chicken wings and toss to coat. Marinate 30 minutes, tossing halfway through. Heat oven to 475F. Bake until chicken is cooked through and sauce thickens, 30 minutes, flipping chicken halfway through.